Sir Andrew joined the NHS in 1975 and has held a number of senior management positions, including General Manager of the Royal Free Hospital and Chief Executive of St George's Healthcare NHS Trust. He joined the National Institute for Health and Care Excellence as its founding Chief Executive in 1999. Gillian is the Deputy Chief Executive at NICE, the Director of Health and Social Care, and a visiting professor at King's College London. Gillian trained in medicine at Leeds, and then spent several years researching the epidemiology of peripheral vascular disease at Edinburgh University. She was involved in the Cochrane Collaboration as it first became established, and still contributes as an editor to the EPOC Group (Effective Practice and Organisation of Care). She specialised in public health medicine, and worked as a consultant before moving to NICE in 2001. At NICE, Gillian has been responsible for the initial set up and running of the clinical guidelines programme, for establishing the NICE implementation function, and for setting up NHS Evidence. More recently she has been responsible for the transfer of the National Prescribing Centre into NICE, for establishing the NICE accreditation programme, and for new work on Quality Standards across health and social care. Ben joined NICE in 2003. As director of business planning and resources, Ben is responsible for the Institute's business planning process and corporate services including finance, human resources, information technology, estates and facilities. Ben graduated from the University of Keele with a degree in economics and computer science. He trained as an accountant on the NHS graduate financial management scheme and is a member of the Chartered Institute of Public Finance and Accountancy (CIPFA). Before joining NICE Ben worked for the Audit Commission, where he was involved in a range of work including value for money reviews and financial audit for both health and local government clients. Before this he worked as a Finance Manager within the NHS. Meindert is Director of the Centre for Health Technology Evaluation. After qualifying as a pharmacist, he worked in a hospital in the Netherlands, and held positions in health outcomes and sales in the pharmaceutical industry. Meindert completed an MSc in Health Policy Planning and Financing at The London School of Hygiene and Tropical Medicine and the London School of Economics & Political Sciences and briefly worked for the King’s Fund before starting at NICE in 2004. Meindert is currently on the board of directors for ISPOR (The International Society for Pharmacoeconomics and Outcomes Research), 2017 – 2020. Jane joined NICE in 2008 and is responsible for the delivery of the institute's strategic communications programme. Jane graduated from the University of New Brunswick in Canada with an BA Honours degree in Political Science. She subsequently obtained an MA in this field from Carleton University in Ottawa and went on to undertake a graduate journalism programme at the same university. Immediately before joining NICE, Jane was head of corporate communications at the Medical Research Council, the UK's largest publicly funded medical research organisation. Her remit covered the full spectrum of corporate communications, from strategic development, public involvement and consultation, to media relations and brand management. Jane has worked extensively in the political field in Canada, including as Press secretary for the official opposition and former prime minister of Canada, and as Director of communications, Canadian Federation of Labour. Jane has also held senior positions in charitable organisations including the Scout Association and the International Planned Parenthood Federation. Alexia is director of Evidence Resources. She is responsible for the delivery of the NHS Evidence and UK PharmaScan services and leads the information management and technology, user research and information services resources of NICE. Alexia studied business and management in France after which she completed a Master of Science in International Accounting and Finance at the London School of Economics and Political Science. Before joining NICE, Alexia was a Director with Deloitte where she advised a range of clients in the healthcare and life science industries on policy and strategy development as well as programme implementation. Paul is Director of the Centre for Guidelines. Paul has been with NICE since March 2009, where he was responsible for setting up our accreditation programme for guideline developers. More recently, he was Programme Director of the Medicines and Technologies Programme. 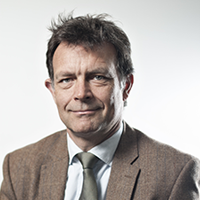 Before joining NICE, Paul spent over 20 years in international medical publishing and communications, focusing on evidence to aid healthcare decision making and the adoption of new medicines. 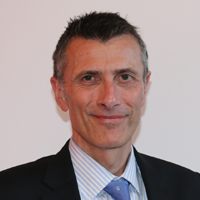 Paul trained as a pharmacist and is a member of the Royal Pharmaceutical Society.